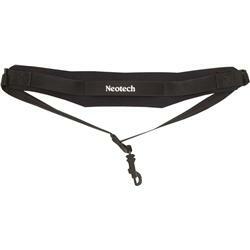 This revolutionary soft sax strap actually helps reduce uncomfortable neck and shoulder pressure, fatigue and bounce. You'll definitely feel the difference! The innovative design incorporates neoprene with a comfort-stretch backing. This combination allows the weight of your instrument to be evenly distributed over a larger area on your neck and shoulders while absorbing the shock of your movements. This is how this soft sax strap makes your instrument feel 50% lighter and 100% more comfortable. Perfect for Bass Clarinet, English Horn or Bari Sax.